Buttermere village from Rannerdale Knotts summit. Photo by Ann Bowker. Buttermere is a small hamlet situated between the lakes Buttermere and Crummock Water, which were originally one post-glacial lake. The land was created by the debris washed down from the surrounding hills. 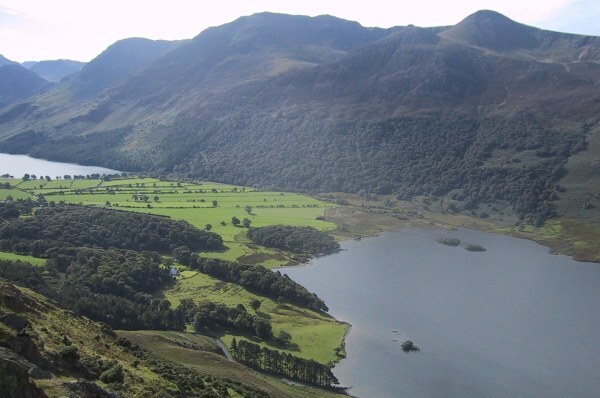 Buttermere lake is owned by The National Trust, and is 1½ miles long, ¾ mile wide and 75 feet deep. The name Buttermere means “the lake by the dairy pastures”. 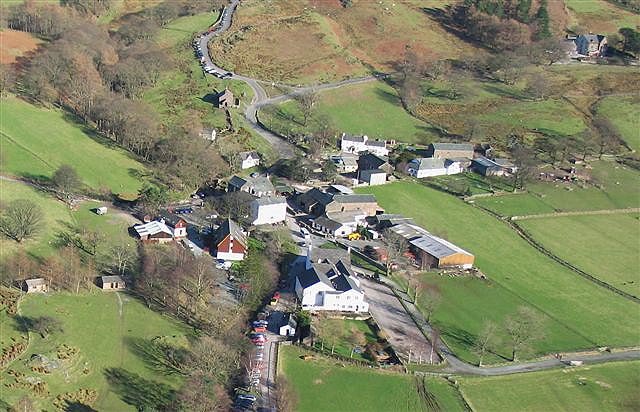 There are two small hotels / pubs in Buttermere, as well as a number of houses, a tea shop (open in the summer), a Youth Hostel and a tiny former school, now the village hall. 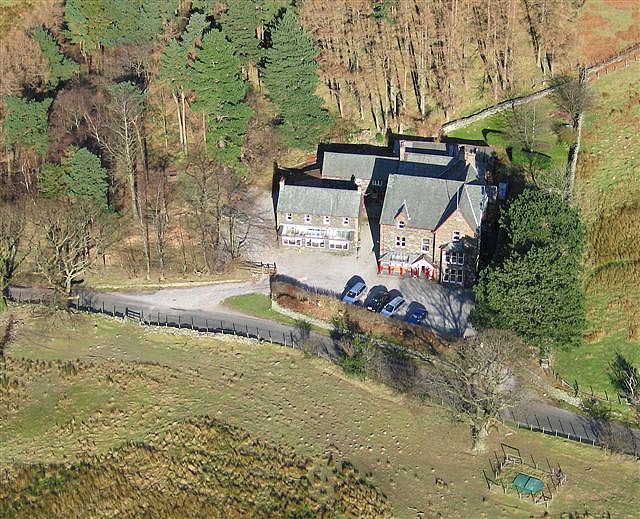 Mary Robinson, the stunning daughter of the Fish Hotel’s landlord, became known as the “Beauty of Buttermere” and in 1802 she married Lieutenant-Colonel the Hon. Alexander Augustus Hope. Unfortunately he was an imposter and bigamist who was subsequently hanged in Carlisle, not for bigamy but forgery! 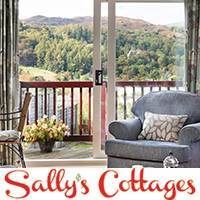 Her story has been told in several novels, most recently by Melvyn Bragg in “The Maid of Buttermere”. 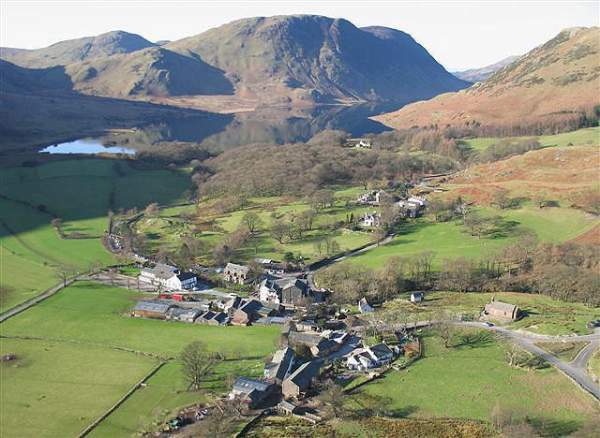 Buttermere village from High Stile ridge. Photo by Ann Bowker. 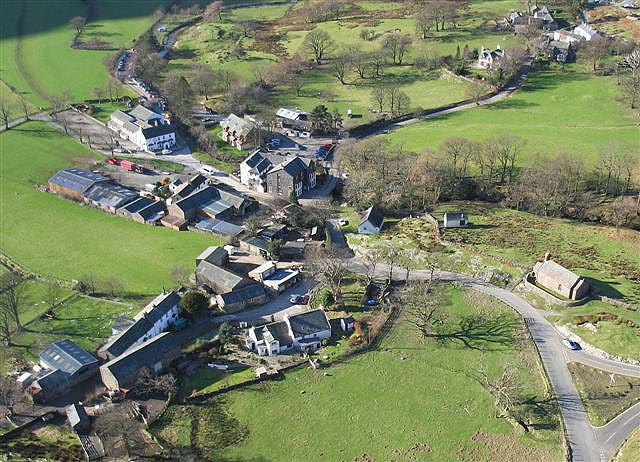 The small church of St James is famous for the memorial to Alfred Wainwright, the famous walker and author of guidebooks. You can see his favourite mountain ‘Haystacks’ from the church window. 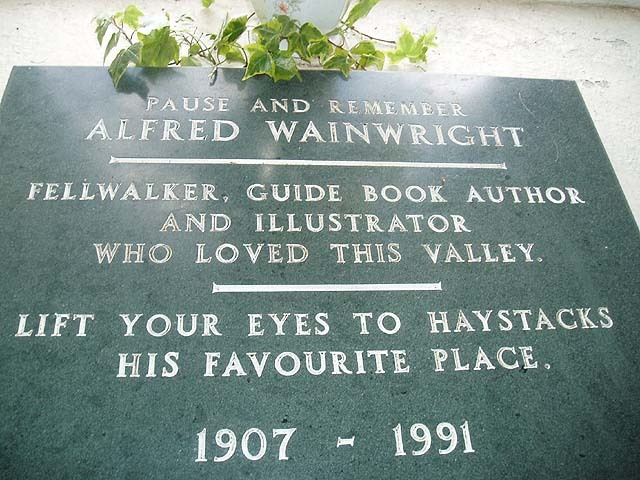 Wainwright Memorial in St James’ church. Photo by Peter Donaghy. 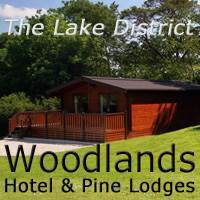 The area provides excellent low level walks, fishing and boating. No motor boats are allowed. For more experienced walkers and climbers, the extensive and world famous mountain ranges surrounding the Buttermere valley, such as the ‘Buttermere Round’ (Red Pike, High Stile and High Crag) alongside Fleetwith Pike, Rannerdale Knotts and Wainwright’s favourite mountain Haystacks, provide superb and exciting high level walking and climbing. 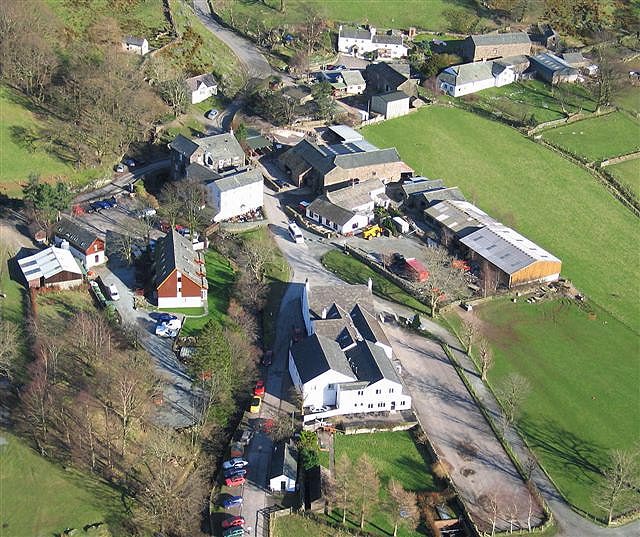 St James’ church (right), Fish Hotel (left), Bridge Hotel (centre), Syke Farm (foreground). 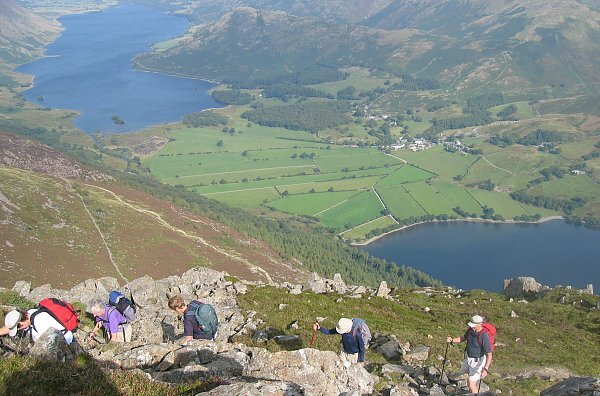 A short walk from Buttermere is the highest waterfall in the Lake District. Scale Force has a single drop of 170 ft, and two others of about 20 ft. 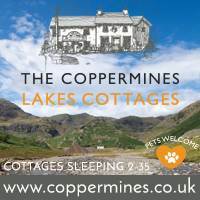 It is hidden away in a deep tree-lined gorge on the way from Crummock Water to Red Pike on land owned by the National Trust. 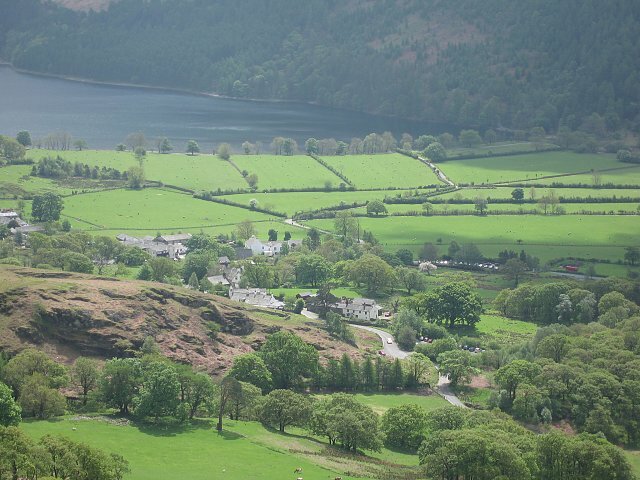 Just three miles away is the Whinlatter Forest Visitor Centre which has many woodland walks, as well as interesting nature-related activities for adults and children of all ages. 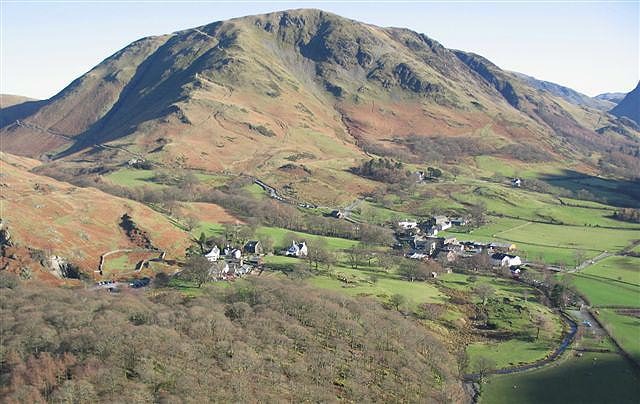 From Buttermere, Newlands Pass leads over Honister Hause to Braithwaite, near Keswick, and Honister Pass leads to Borrowdale – both roads being narrow and steep.